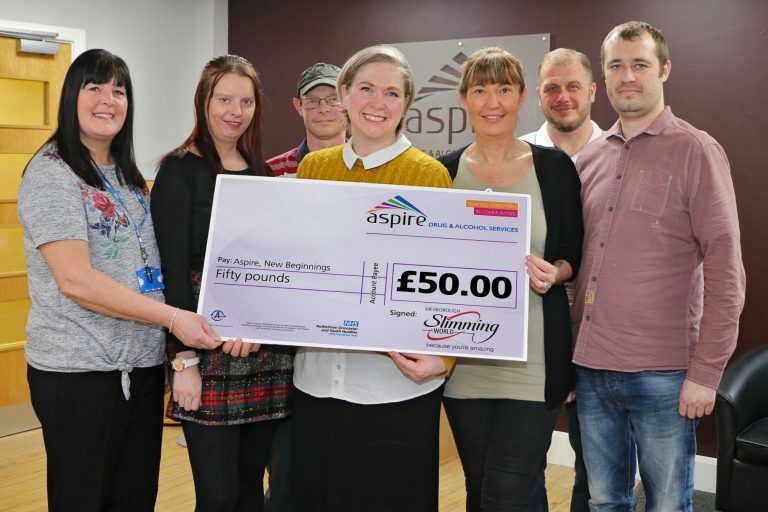 A Slimming World group in Mexborough has donated a thousand five pence pieces for Aspires New Beginnings. The group at Mexborough Business Centre, led by Lou Mycroft, Slimming World Consultant, decided to give up their spare change from their £4.95 weekly subscription fees and donate the money to helping people in recovery. It took just four weeks for the group to achieve their goal and once they had reached their target, Lou and fellow Slimming World member Karen Holmes dropped £50 off at New Beginnings.